Larry Eisenberg is Principal of Ovus Partners 360. Previously, as Principal of Beezley Energy Advisors he helped clients across the nation implement sustainable design and renewable energy solutions, working as a strategic advisor and owner’s representative. 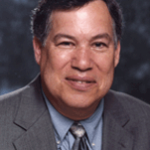 Prior to founding Beezley Energy Advisors, Eisenberg served as the executive director of Facilities Planning and Development for the Los Angeles Community College District, the largest community college district in the nation. Serving more than 36 cities in Los Angeles County and covering nearly 900 square miles, the nine colleges of the LACCD have been educating and training the region’s diverse workforce since 1969. As the Executive Director, Eisenberg oversaw all planning, facilities development, maintenance and real estate activities at the District. Eisenberg directed the District’s award-winning $6 billion Sustainable Building Program, one of the nation’s largest “green” construction and renewable energy efforts. The program was established to modernize the LACCD’s nine colleges, focusing on sustainability by embracing nationally recognized environmental standards and guidelines. By the time the construction and renewable energy efforts are complete, the District is expected to have 85 new buildings that meet the U.S. Green Building Council’s LEED (Leadership in Energy and Environmental Design) standards with nearly 20 of them being certified as LEED Platinum. In addition, a significant share of the District’s energy requirements will be met with renewable energy. Eisenberg has extensive experience with major construction projects and is an expert on sustainable building practices. He has published numerous articles on a variety of construction-related topics and on innovative public/private partnerships in building projects. Eisenberg is a sought after speaker, regularly serving as a keynote speaker at meetings and conferences around the country on topics of sustainable design, renewable energy, and building construction practices. Previously, Eisenberg was the facilities manager for Washington County, Oregon where he was responsible for capital construction, maintenance and operations, sustainable initiatives, and public/private partnerships. He also served as an associate vice president for physical planning and development at the University of Wisconsin System, managing the construction, remodeling, maintenance and operation of more than 42 million feet of classroom, dormitory, laboratory and administrative space. Eisenberg has also held several senior management positions with the Wisconsin state government. Eisenberg served on the sustainability advisory committee for several national organizations, including the American College & University Presidents’ Climate Commitment, the Association for the Advancement of Sustainability in Higher Education, and the National Association of College and University Business Officers. Eisenberg received a bachelor’s degree in urban studies from the Massachusetts Institute of Technology and a master’s degree in public affairs from the LBJ School of Public Affairs at the University of Texas at Austin. He was born and raised in California’s San Fernando Valley and attended North Hollywood High School. Eisenberg is married and has a grown son, who lives in the Seattle area.